Whether for plinking or vermin hunting, the right airgun can make a difference in how much you enjoy these activities. 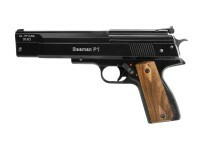 With Beeman air pistols by your side, be ready for the action with an option you truly enjoy using with every shot. Known for their precision and innovative outlook, Beeman is no stranger to the industry with several decades under their belt now. 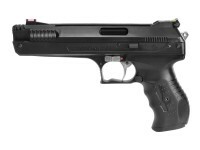 For the smooth operation to the overall performance features, choosing Beeman air pistols is a smart move for any level of experience in airgunning. 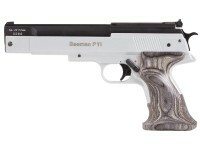 We are honored to bring you a diverse selection of some of the best Beeman air pistols this manufacturer has to offer. Made with a focus on performance and quality, these models bring together the best of modern designs coupled with the hallmarks that made the brand successful in the first place. Choose from several differences in operations when choosing to get the right fit for your preferences and shooting needs. Choose from maximum velocities ranging from 410 fps to 600 fps, as well as calibers of 0.22, 0.20, and 0.177, to get the setup that works best for you. 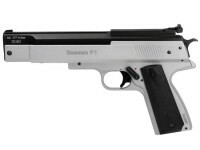 With the choice of single-stroke pneumatic and spring-piston available, our selection of Beeman air pistols is sure to have something for you. 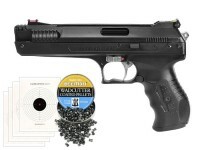 These models are great for target practice because they are easy to reload, offer a lightweight feel in your hand, and have reliable sights to help you work on accuracy. 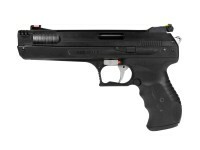 Most of their models are made with ambidextrous designs so you get a great airgun for lefties or righties. Another great feature of this brand is that many of these models (single stroke pneumatic ones) can be dry fired without worry. 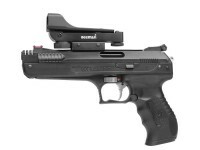 Add one of these fun and reliable options to your arsenal today.